Farm Store — Baird Cattle Co.
Eat good food and feel good about where your food comes from. *we accept cash, credit and debit-tap only. The farm store was established in August 2017 on our Ladner farm. We are committed to offering the community quality food that is local and sustainable. We are proud to offer premium dry-aged beef, free-range heritage pork, and produce. We offer our own premium dry-aged beef and local free-range heritage pork. All of the meat we offer is raised ethically and humanely, without the use of steroids, antibiotics and hormones. 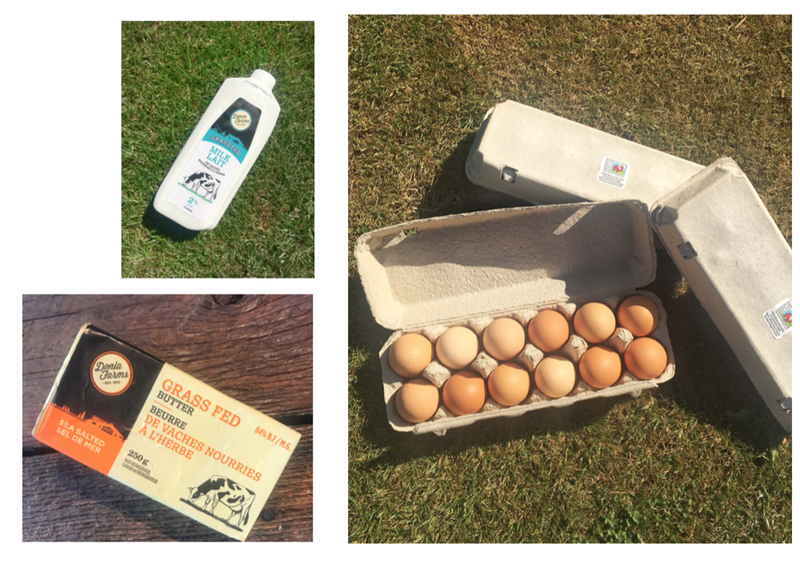 Find SPCA certified free-range eggs in The Store as well as grass fed butter. Sourced locally and from farmers who share the same passion for sustainable farming as we do. We offer produce grown our Ladner Farm such as Russian Red Garlic, corn, shallots and fresh cut flowers as well as produce from other local Ladner farmers. We age our own steer manure for a minimum of one year then it's screened. Our steer manure is used as the only fertilizer for all of our produce and flowers. Using steer manure is great natural fertilizer that adds to the success of any crop- big or small! We sell it at by the bag at the Ladner Farm or by the yard at our South Surrey farm.